Winchester Firearms and Ammunition, established in 1866, is one of the worlds most recognized and respected names in the firearm industry. Their firearms and ammunition have been defending life and property for over 140 years and from the look of it they will be around for the next 140 years as well. 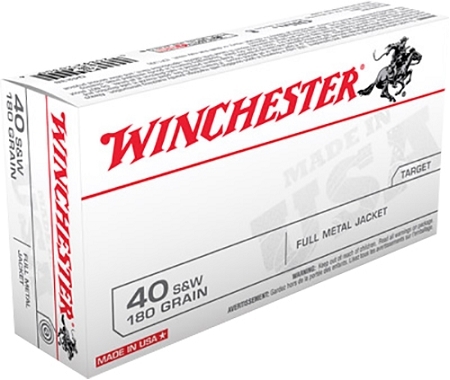 You can trust Winchester to deliver what they advertise. USA brand ammunition is the ideal choice for training and features high quality and reliability at a low price. No Expansion, consistent accuracy, target and range shooting, reduced barrel fouling.